This is by far the best carrot salad I have ever had. It is a wonderful chewy and just the perfect sweet carrot salad. 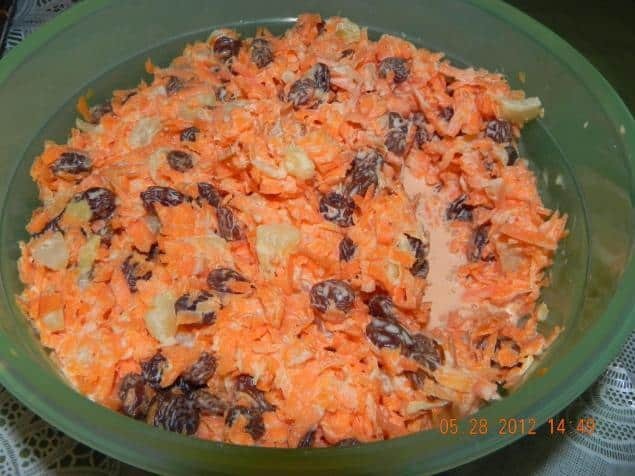 Chick-Fil-A's Carrot & Raisin Salad direction step 1 1 Chill all ingredients except sugar at least 30 minutes. Dissolve the sugar in the pineapple, then combine everything gently in a large bowl. May be refrigerated up to 72 hours. Fresh carrots are the secret, according to Chick-Fil-A.